237 p., 14,8 x 21,0 cm. Edited by Katrin Grünepütt and Johann Michael Rotmann. With contributions by Jorge Canestri, Fidias Cesio, Takeo Doi, Friedrich-Wilhelm Eickhoff, Sigmund Freud, Merton Max Gill, Aiban Hagelin, Max Hernández, Betty Joseph, Roy Schafer, Ethel Spector Person, Daniel N. Stern and Robert S. Wallerstein. 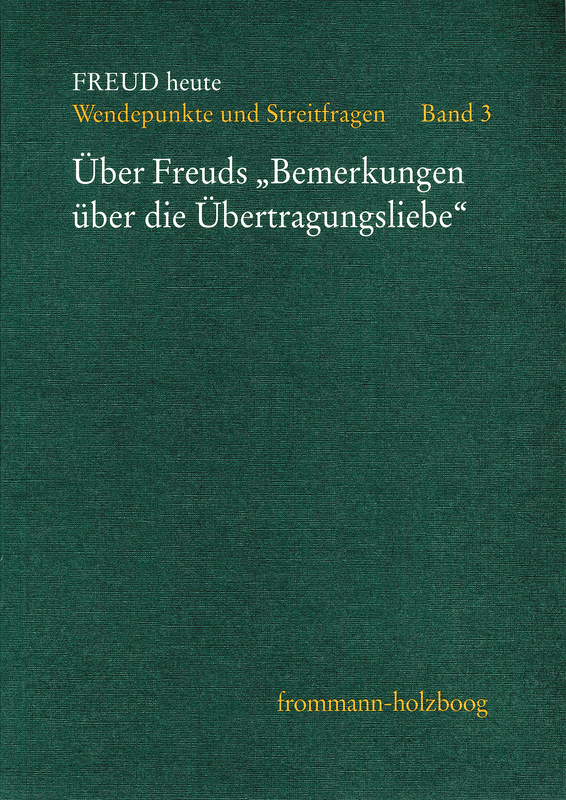 Freud was the first to describe and try to explain »transference love.« Based on Freud’s ›Bemerkungen‹ (Observations), the authors discuss their view of love, female sexuality and conventional morality. They shed light on the role of the analyst and psychotherapist in the development of »transference love,« explore the differences between remembering, re-experiencing, acting and staging and study Freud’s theory in light of current developments in psychoanalytic thinking.